Birds are found in every habitat on earth, except for the deep ocean. These amazing creatures can be enjoyed during every outdoor activity, from working in the yard to backpacking through a wilderness. An estimated 47,000,000 Americans currently watch or feed birds, but the largest bird-oriented organization has fewer than a million members. 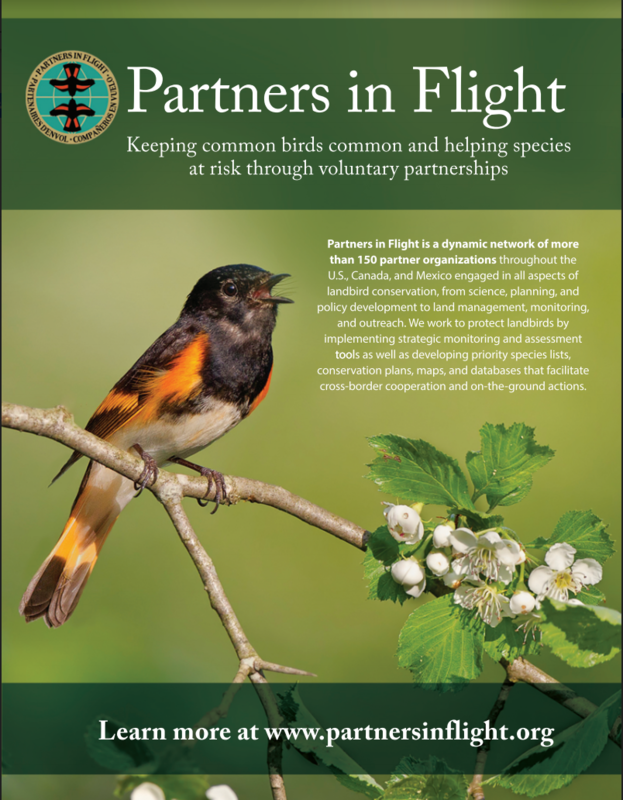 So, one important goal for Partners in Flight is to continue to build public support in a way that mobilizes more of this huge group of people to become more active in bird conservation. 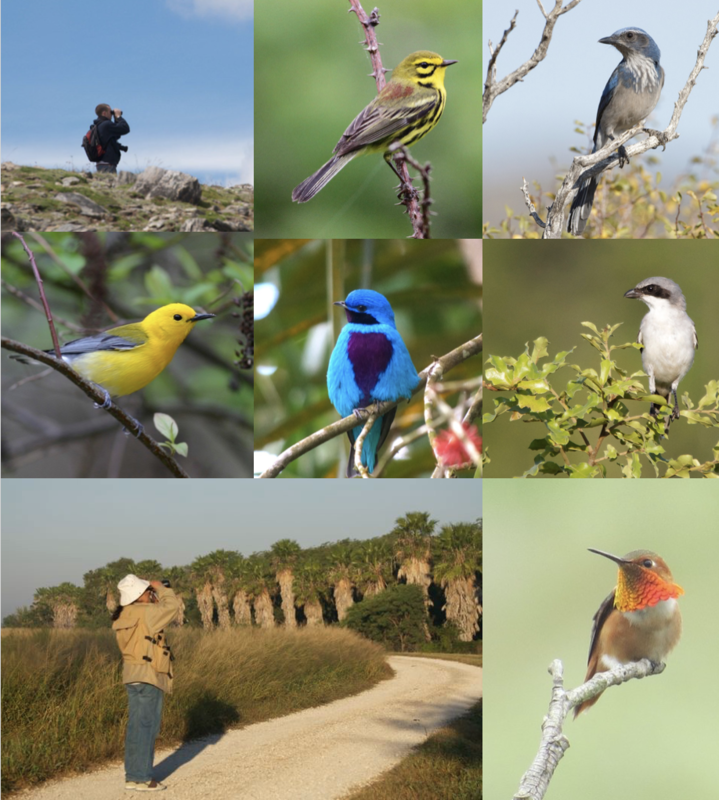 Birds cannot conserve themselves – only people can do that! 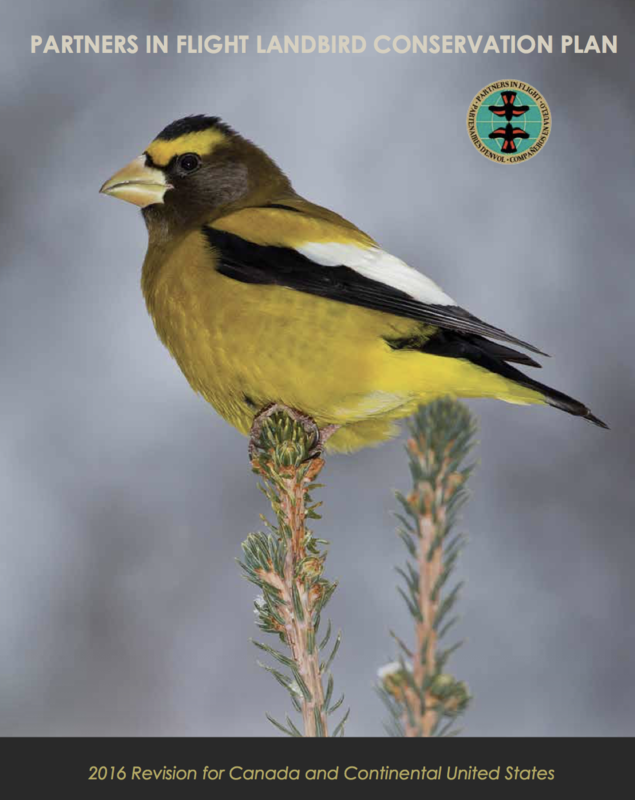 We suggest activities, grouped into three categories, that contribute to keeping common birds common and helping species at risk through voluntary actions and partnerships. Clockwise: Birding Rocky Mountain National Park, Colorado (© Laura Kammermeier); Prairie Warbler (© Ian Davies/Macaulay Library, Cornell Lab of Ornithology), Scrub Jay (© Brian Sullivan/Macaulay Library, Cornell Lab of Ornithology), Prothonotary Warbler (© Brian Sullivan/Macaulay Library, Cornell Lab of Ornithology), Lovely Cotinga (© William Orellena/Macaulay Library, Cornell Lab of Ornithology), Loggerhead Shrike (© Mark Herse), Birder at Rio Grande Valley Birding and Nature Festival, Texas (© Laura Kammermeier); Rufous/Allen’s Hummingbird (© Andrea Thurston-Shaine/Macaulay Library, Cornell Lab of Ornithology).